The Khazars control the ‘entertainment’ industry, almost all the media, and, through bribes and blackmail, 99% (or so) of all American politicians, and have similar if not quite as dominant stakes elsewhere in the Anglo-American world. Yet the ‘one-issue guys’ seem to be struggling with the one issue, which is building a Khazar Empire from the Nile to the Euphrates. The Israelis have recently had setbacks almost everywhere, which explains why this symbolic move has become so important to them. Yet we can also see the deep sociological root of their problem, lying in ancient Khazar tribal practices and understandings, particularly with respect to status in the community. While every Khazar, from lite ‘peace’ lovable Zionists to blood-pouring-from-the-fangs fellows like Sheldon, are on the same page with respect to building Greater Israel, there are huge disagreements on techniques and strategy of gentile management, particularly in timing. That alone, though, doesn’t explain their current problems. Each Jewish billionaire is competing with the others to become the Big Jew, the guy who actually completes the one issue. 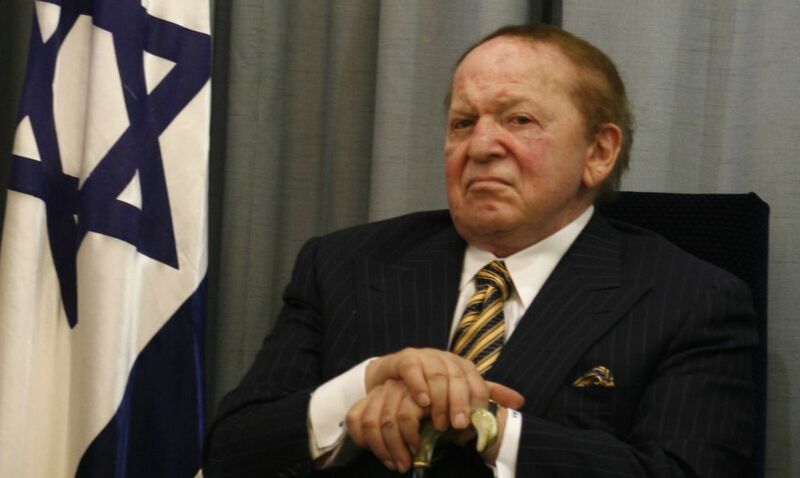 It is more important for each of them to have his name attached to the success of the project – note the speculation that Adelson’s name will be on the embassy, a huge embarrassment for the Most Powerful Country in the World! – than the actual project. It is only the Jewish billionaire infighting over status in the Khazar community that is saving the world from the tragedy they have planned. Added: “Foreign Officials Discussed How To Manipulate “Naive” Jared Kushner”. Why don’t they bail him out? The monetary amounts are pocket lint for these high-rolling machers. Same reason. 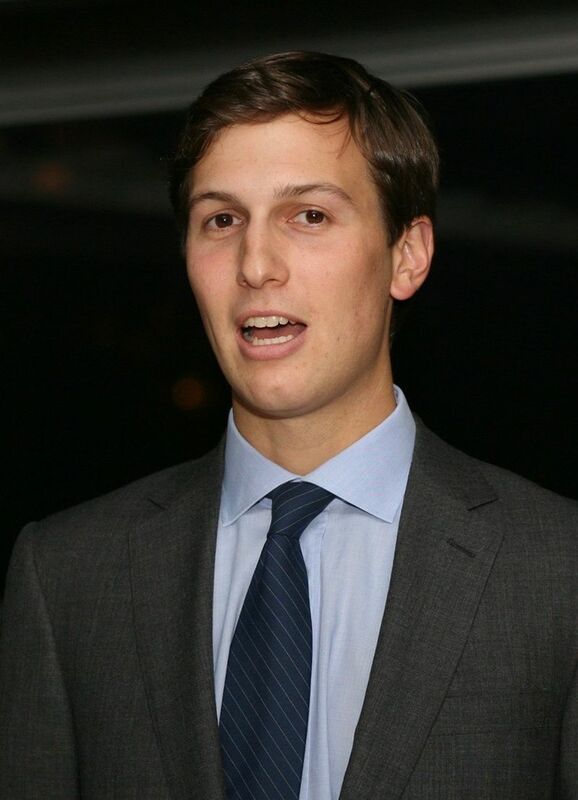 He’s a young upstart whose recent seeming success is embarrassing the old ‘one-issue’ guys by taking the credit away from them (he hasn’t earned it, but is only President Kushner due to Trump’s weird relationship with Ivanka). His family is trash, his father having been caught breaking the gentile laws (the sin, obviously, is not in breaking them, as gentile ‘laws’ don’t apply to Khazars, but in foolishly getting caught, presumably by clumsy or stingy bribing of local officials). Losing his highest-level security clearance is the way to take him down a peg. Tuesday’s news set off rampant speculation among Trump allies that Kushner’s days in the White House might be numbered. On the same day, the departure of a third Kushner ally in the West Wing in as many months was announced. And the selection of a Kushner ally to serve as Trump’s 2020 campaign manager appeared to suggest the campaign could provide Kushner with a convenient place to land after his White House duties end. Kushner lost his access to the nation’s deepest secrets after chief of staff John Kelly ordered that White House officials with interim clearances pending since before June 1, 2017, be cut off if they hadn’t received permanent clearances by last Friday. A White House official confirmed to The Associated Press that Kelly’s order has been implemented. President Donald Trump could have reversed Kelly’s decision and unilaterally offered Kushner a clearance, but deferred to Kelly. Kushner is one of dozens of White House aides who have been working without permanent security clearances for the better part of a year. His attorney told the AP that Kushner’s ability to do his job won’t be affected by any change to his clearance. 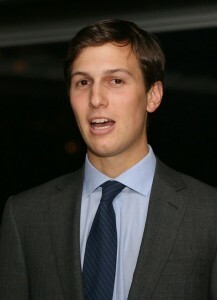 “Those involved in the process again have confirmed that there are dozens of people at Mr Kushner’s level whose process is delayed, that it is not uncommon for these clearance reviews to take this long in a new administration, and that the current backlogs are now being addressed,” said Peter Mirijanian, a Kushner spokesman. Kushner’s portfolio once included the U.S. relationships with China and Japan and a host of domestic priorities, including infrastructure, trade and economic development. But his freewheeling reach in the foreign policy space – which was viewed as undermining Secretary of State Rex Tillerson – already had been curtailed somewhat under Kelly. Intelligence officials expressed concern that Kushner’s business dealings were a topic of discussion in conversations he was having with foreign officials about foreign policy issues of interest to the U.S. government, a former intelligence official said. The official, who spoke only on condition of anonymity to discuss Kushner’s security clearance review, said there was a difference of opinion among intelligence officials about the significance. Some believed Kushner knew his business dealings would likely come up in the conversations and was too naive or inexperienced to know how to exit the topic in light of his position as Trump’s adviser, the official said. Others thought Kushner knew the topic would likely surface and used the opportunity while talking to the foreign officials to engage in conversations about his business interests. The official said Kushner’s conversations themselves were not surveilled, but details about what was discussed in meetings with the president’s son-in-law came from surveillance conducted on certain foreign individuals abroad. According to the official, the information was known from the beginning of the FBI’s background investigation work, which started after Kushner joined the White House. In some cases, the intelligence revealed discrepancies in the information Kushner disclosed on his security clearance application about foreign contacts, the official said. Kushner’s contacts with foreign officials also have been a part of special counsel Robert Mueller’s investigation, a former U.S. official told the AP. Mueller’s team, in its interviews for the ongoing Russia probe, has asked people about the protocols Kushner used when he set up conversations with foreign leaders. The downgrade would mean that anyone giving top-secret material to Kushner could be accused of mishandling classified material, according to David Priess, who wrote a history of the President’s Daily Brief, the highest-level intelligence document produced in the United States. Still, a president has the ultimate authority to classify or declassify information, so he could show the brief – covering hot spots around the globe, U.S. covert operations and intelligence about world leaders- “to whomever he damn well pleases,” Priess tweeted. The White House’s handling of security clearances has come under intense scrutiny in the wake of revelations that former White House staff secretary Rob Porter had worked for more than a year with only interim clearance. Porter, whose job gave him constant access to the most sensitive of documents, had been accused of domestic abuse by his two ex-wives. The White House has repeatedly changed its timeline about who knew what and when about the allegations. Fresh off his trip to Reno, Nevada where he was instrumental in accomplishing the previously unheard of task of persuading The American Legion to pass Resolution 40calling on Congress to conduct an investigation of the attack on our ship, USS Liberty Survivor, Bryce Lockwood had a one-on-one meeting with President Donald Trump. Not one to rest on his laurels and recognizing that while this opportunity has never presented itself before, Bryce quickly briefed the President about the attack and the fact that it has never been investigated by the US government after which he slipped a USS Liberty Challenge Coin into Mr. Trump’s hand. Bryce then spent time briefing the personnel accompanying Mr. Trump about the USS Liberty and of our effort to ensure the US government finally conducts an investigation of the attack. Everyone he spoke with was very interested in what Bryce had to say. Probably because many were either active duty military, veterans or – like USS Liberty Survivor Lloyd Painter – members or veterans of the Secret Service. Arriving at the 50th anniversary of the attack coupled with the passage of Resolution 40 by The American Legion has wakened a sleeping giant. Americans are becoming aware of what happened to us during the attack and how we have been treated by Congress and by Americans who are more concerned about the well-being of the forces who attacked us than they are about their own countrymen. We cannot rest on our laurels. Some members of The American Legion voted against Resolution 40. They claim to be patriotic American citizens but clearly their patriotism is conditional. Many of the CPA’s are in positions of authority. Authority they have not earned and certainly do not deserve. A HALF-CENTURY AFTER ONE OF HISTORY’S MOST CONTROVERSIAL ATTACKS ON A U.S. NAVY SHIP, THE WOUNDS FROM THE LIBERTYINCIDENT REMAIN UNHEALED.